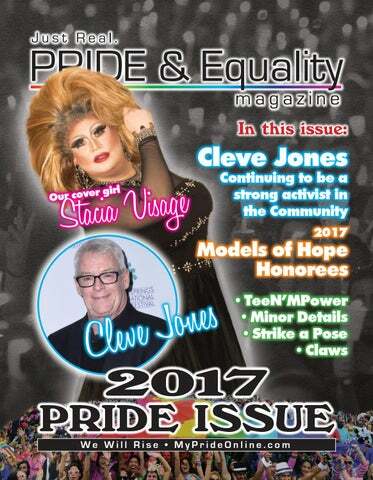 Cleve Jones continues to be a strong activist in the LGBTQ community and shares what we need to do to win the fight. The LBGTQ activist has etched his name in the history books. He shared how he feels about it. It’s time to learn about this year’s honorees of the award that’s making a different in the community. One of Albuquerque’s most energizing queen shares her hope for the community. TEEN’MPOWER A strong ally for LGBTQ youth in New Mexico. Jumping for joy. Stacia Visage has joyous love for her community. STACIA VISAGE Stacoa Visage (Aba Ortiz) having a grand ol’ time with photographer Russell Maynor. Insert: Promotional photo of Visage from her drag show, Dynasty. tacia Visage has been an energetic force in the community. One to lead a hand whenever needed, Stacia will be there to perform for a show and help out a friend. She shared a bit about what makes her tick. What do you love about the New Mexico LGBTQ community? The strength of our community is amazing and unbroken. When attacked, we all rise to support and defend. What do you feel still needs to be improved? We need to focus on building bridges with communities outside of our GLBTQ community. I believe the United Court of The Sandia’s has done a great job of building bridges, but we need to see more from other organizations. What do our youth need to know? Our youth need to know their voices are important and valid in our community. They need to know they are important as individuals, but in numbers they are more powerful. Fame is great, but it is not the most important thing in the world….Instead of being a fad that fades away, be timeless, and always be in style. What do you love about drag? Drag is an amazing art form that allows us to be the Queens of our own universes. Makeup, hair, jewels are so much fun, but drag is much more than having expensive jewels, big hair, an amazing gown, or phenomenal dance moves. It’s about community, it’s about helping each other, it’s about expression, story telling, and having fun. I am only living for today. How did you get involved with the LGBTQ community? I didn’t become an active member of the LGBTQ community until I moved to Albuquerque in 2010. Before that,I was mostly just out in the club scene, dancing, drinking, and having a good time. One of my best friends who had moved here a few months before me worked with NMAS and asked if I would be involved with a fundraiser for one of our non-profits. This not only introduced me to what it meant to be involved with gays during the daytime (still drunks), but also introduced me to The Dolls of ABQ and to drag! From there, I volunteered with Verge, which was a young people against tobacco team that hosted various shows and parties for all ages but focused on youth. I have volunteered on the ABQ Pride Board as assistant to the director of entertainment and managed the community stage and really just enjoyed meeting people and the entertainers. In 2013, I decided to compete for Miss New Mexico Pride, thank you Jay Decker, not only for the title, but my goal was to make Pride great again. There was a decline in contestants and a lot of bad-mouthing, and I wanted to make Pride something that the drag community wanted to be involved with again. Tell us about your history. What was life like when you were a youth? I’ve always known I was gay since I was a small child. I liked playing outside with the other boys from time to time, but I would much rather be inside ironing Barbie’s hair with the girls. I have always been a creative person with a very vivid imagination, so a lot of times, growing up was difficult. My family went to church. They weren’t super religious, but had a deep faith and involvement within the church. So, I was always there… from music lessons, choir practice, church dance groups, to Christian boy scouts’ groups. I’ve been the church decorator, janitor, choir director, worship leader, travelling soloist, sunday school teacher, youth leader, junior deacon, live radio program singer, and I’m probably missing a few things. In school I was a pretty good student. I made good grades, and stayed out of trouble for the most part. Being in a military family, we moved every 4 years, so I don’t really have any lifelong friendships. Pretty sure I went to 9 different schools. I was always in choir, and band, I ran track, and did JRROTC. My family was loving but not always supportive of my extracurricular activities, which made it a challenge to stay involved. It seemed like they were always trying to suppress me and my gayness. I did my best to make them happy and not act on my impulses, but there were way too many incidents that my parents decided I needed to be punished for. Would I go back and live my youth again knowing what I know now? Hell no.allow others to see who I was, instead of hiding behind what I could do. What piece of advice would you give today LGBTQ youth? I think the number one problem young people face is identity. Who am I? Well, my advice is simply to take your time, don’t rush. Life is made up of the moments, and the journeys, which include heartache, as well as goodness. The mistake I made was allowing other people to shape me instead of just being myself. My parents didn’t like who I was at times, but they came around. I lost a lot of people who I thought were my best friends when I came out, but the friendships I have gained are beyond amazing. I would rather live in my truth and be content with who I am, than live a lie my entire life to please someone else. wanting to make a difference and live life as the real you? I was the State Lead of GetEQUAL NM as a junior at the University of New Mexico. At the time, I considered myself to be a “straight ally.” Funny, right? That was until I heard the word pansexual, and I realized that I had finally found a term that matched my sexual orientation. Shortly after that, I started dating someone who was part of the LGBTQ community. As a white, cis, feminine person, my experiences were very different than his. Realizing these differences led me to doing more anti-racism work. White male faces continue to dominate the LGBTQ movement, and although I think it is starting to change, we still have a lot of work to do. What piece of advice would you give today’s LGBTQ youth? — Teach yourself how to practice self-care, and then teach others. Collective self-care is imperative—and it’s the only way we can continue to dismantle oppressive structures. Laugh, play board games, go on hikes, dance, travel, and love fiercely. Oh, and don’t be ashamed to get a therapist if you need one! — Relationships with your friends and/or community members are as important, if not more important, than your romantic relationships. Cultivate love with your fellow students, best friends, neighbors, and co-workers. — Figure out what you are good at, and use it to make a difference. You owe yourself, and the world, this gift. Being an activist doesn’t always mean hitting the streets to chant. Sometimes, it means creating a new slam poem, setting up a fundraising event, performing in a play, reading a book to your neighbor with dementia, sharing educational resources, etc. All of these actions are crucial to dismantling heteropatriarchy, capitalism, colonialism, and war. drove to safety. The trucker was fired and the case eventually came to Gorsuch’s court. His one-man dissent effectively concluded that the trucker should have just frozen to death because that is in keeping with the consistent way that Gorsuch sees jurisprudence. After all, we can’t set a bad precedent here or make an exception just because someone is going to die! The trucker is just the collateral damage of enforcing the law in this manner. In this he is the spitting image of his predecessor, Justice Antonin Scalia. If he were still alive, Scalia would still be using his religious and legal justifications (he hid behind the trope that he was just a consistent originalist) to justify discrimination against LGBT people and other minorities while golfing with rich buddies who shared his justifications. It’s not that they couldn’t be appropriately emotional people when it came to their friends and family. It’s that their public presentation in their profession must be rational rather than personal. So just buck up, buddy. It’s merely more collateral damage from conditioned masculinity.. P&E Robert N. Minor, Ph.D., Professor Emeritus of Religious Studies at the University of Kansas, is author of When Religion Is an Addiction; Scared Straight: Why It’s So Hard to Accept Gay People and Why It’s So Hard to Be Human; and Gay & Healthy in a Sick Society. Contact him at www.FairnessProject.org. Amiga Mejor Albuquerque is my best friend! She can be a little rough around the edges, but has big brown eyes that can soften all those she looks at. Her heart beats to the rhythm of native drums and you can see it in her swagger as she walks on legs covered in dust and clay. Her hair flows like the Rio Grande down her back and is pinned up by turquoise barrettes! She likes to climb the trees in the Bosque and run the streets of the valley. She hikes the invisible trails of the foothills and speaks the language of the Petroglyphs. She sits with her Abuela every morning and they talk about their heritage. The mix of her blood. Of ancestors who were dancers, healers, farmers, soldiers, and slaves. In the afternoon, she sits with the children and they play with flour and water and she teaches them of fry bread and sopapillas, and their connection to the earth. In the evening, she sits with her back to the setting sun so that she can watch the Sandias change color to a brilliant pink which reminds her of watermelon juice running down her arms as a child. At night.... She dances. She dances a dance of power and sadness of hope and remembrance and as she spins… she makes circles in the dust that mirrors the Sun that gives Albuquerque her power! 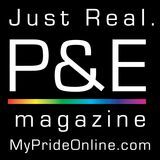 - Van Overton Jr.
We want to see you in next year’s PRIDE & Equality! Contact Teresa Ewers at (505) 450-4706 for more information. ith a combination of practical advice and warmly helpful personal insights, The Broken Heart Toolkit sets out a step-by-step guide to building a long-term, self-help program like no other in this field. With so many self-help books on the market promising to ‘mend’ a broken heart, it’s difficult to know where to turn. The Broken Heart Toolkit makes no such promise to. There is no quick-fix solution to ‘mend’ anything. If only it were that easy! Award-nominated journalist Paul Thorn brings his considerable personal experience of loss, self-hating, self-examination and self-helping to The Broken Heart Toolkit. It presents a set of practical tools and a Method to address how to get from one to the other in a proactive way. weeping in scope and intimate in tone, Hofler’s biography explores Dunne’s closeted (for most of his life) sexual identity and his many relationships and affairs, including his 40-year partnership with the artist Norman Carby. The book also documents Dunne’s rise and fall as a TV and film producer and his reinvention as a bestselling novelist, TV show host and Vanity Fair journalist covering the lives—and crimes—of the rich and powerful, including the trials of O.J. Simpson and the Menendez Brothers. Hofler also shares the details of Dunne’s close friendships with (and suppressed scandals about) Elizabeth Taylor and other celebrities, as well as Dunne’s intense rivalry with his brother and sister-in-law, John Gregory Dunne and Joan Didion, which became even more painful after the murder of Dominick’s daughter, Dominique.